DEA Agent Accused Of Causing Wreck In Palm Beach County | Schuler, Halvorson, Weisser, Zoeller & Overbeck P.A. 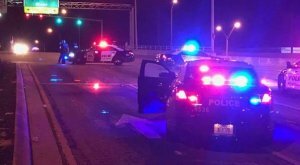 PALM BEACH COUNTY, Fla. – A South Florida DEA agent is under arrest, accused of driving under the influence and causing a crash. The Palm Beach County Sheriff’s Office said the 56-year old rear-ended a car at a red light at S. Jog Road and Olive Tree Blvd. in Greenacres causing that car to spin out. The 56-year old then hit another vehicle, the Sheriff’s Office said. Two people in the vehicle that was rear-ended were taken to the hospital with minor injuries, documents show. According to an arrest report, a deputy said he could smell alcohol on the 56-year old man’s breath, his eyes were glassy, his speech was slurred, and he was unsteady on his feet. The man refused a breathalyzer test on the scene, the Sheriff’s Office said. He’s now facing charges of driving under the influence with property damage, and driving under the influence with injury to others. The Miami field office of the Drug Enforcement Administration confirms that he is an agent in South Florida, but would not comment further. The general public is adviced to contact the Florida Highway Patrol officials if they have any relevant information relating to the crash.